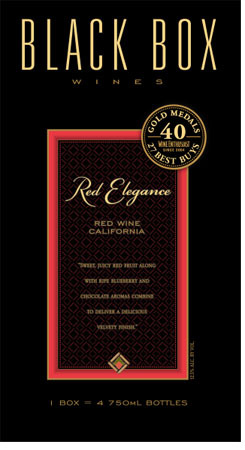 Black Box Wines Red elegance blend displays juicy red fruit along with ripe blueberry. The palate is rich with a full entry and shows flavors of sweet chocolate. It finishes long and round with a velvety mouth-feel.